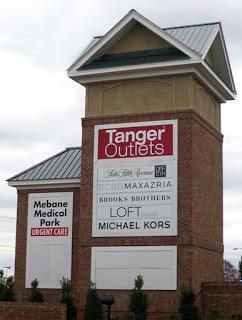 At Tanger Outlets in Mebane, North Carolina, There nursing mothers room is located in a separate section inside the women's restroom near Wilson's Leather. There's a sink, changing table, trashcan and a rocking chair. The room is also clean and cool with ac.